WASHINGTON, DC — Conservation X Labs announced the winners of the inaugural Con X Tech Prize, a global conservation technology prototyping competition, and awarded $30,000 in prizes to three revolutionary solutions at the Conservation Innovation and Technology Happy Hour in Washington, DC last week. Dr. Nancy Knowlton, Sant Chair for Marine Science at the Smithsonian’s National Museum of Natural History & Con X Tech Prize Judge, announces the Grand Prize Winner. 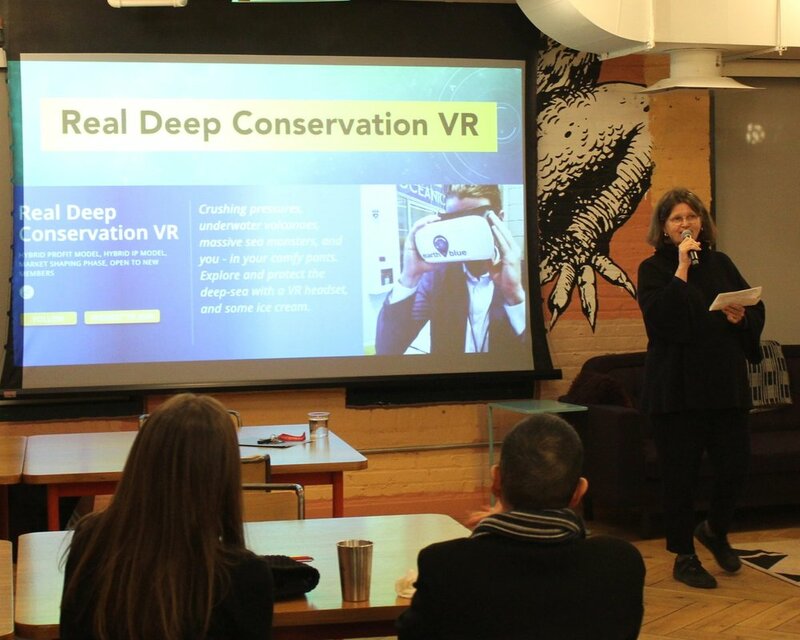 The Real Deep Conservation VR project, a deep-sea camera trap intended for filming in 360° for use in virtual reality, won the Grand Prize and will receive $20,000 to iterate on their prototype and move towards achieving conservation impact. Additional $5,000 awards were made to Find Green, a mobile app connecting green-minded consumers with green businesses, and cargoscreen, a tool detecting illegal and unwanted shipments faster and more reliably using data-driven risk scores. The Grand Prize announcement was the culmination of a nine-month plus competition. In March 2018, Conservation X Labs released an open call for bold technology-enabled ideas to a conservation challenge looking to produce a first prototype. In August 2018, twenty project ideas were selected as Finalists and received $3,500 to prototype, demo, and take their idea forward over the twelve-week Stage 2 period. At the end of Stage 2, each Finalist project submitted a short video and grant report to demonstrate prototyping success and the feasibility and potential of their solutions. All 20 Finalist projects are hosted on Conservation X Labs’ Digital Makerspace, an online community of solvers and technologists and will continue to benefit from technical, business, and marketing support on the Digital Makerspace. The community is open to the public to join, participate on a project team, and offer support or expertise. The ACKBAR is deployed off the coast of San Diego. During Stage 2 of the Con X Tech Prize, Grand Prize Winner Real Deep Conservation VR deployed the Autonomous Camera for Kraken Baiting And Recording (ACKBAR) into the deep-sea twice off the coast of San Diego near La Jolla Canyon at 621 meters (over 2000 feet) depth and 585 meters. The ACKBAR is a deep-sea camera trap that can be readily deployed from most vessels, allowing deep-sea exploration at scale. The deep-sea is facing significant conservation challenges from bottom trawling large nets on the seafloor, oil spills destroying fragile deep-sea corals, and emerging threats like mining of hydrothermal vent communities. Most deep-sea exploration occurs for extracting resources, but the deep-sea camera trap will provide an inexpensive and easy to deploy tool for conservationists to rapidly explore deep-sea habitats in order to better understand and protect them. Find Green, a consumer oriented mobile technology solution, was the recipient of the Lemur’s Choice Award, an honor bestowed by the selection of the Finalist projects in the Con X Tech Prize competition for greatest impact. Find Green aims to shift businesses toward sustainability by empowering customers to demonstrate market demand for sustainable practices (e.g. recycling, energy efficiency) through a mobile app that allows customers to both find and rate the environmental practices of businesses. The Erasing Extinction Award, named for the recipient's ability to best address human-induced extinction, was presented to the cargoscreen project. cargoscreen is a data-driven digital detection tool to help screen containerized cargo for illegal or unwanted wildlife parts, products or derivatives such as shark fin, ivory, pangolins or other wild flora and fauna. The tool will enhance enforcement of current policies, laws, and international treaties and contribute to ending the illegal trafficking of wild specimens which is estimated at around USD 20 billion annually. “We’re humbled and excited at the same time to have won the Erasing Extinction prize! Winning this prize for us means we can further invest on the development side – improving our code base, testing, fixing bugs and enhancing the front end application of our prototype for demo purposes,” said Sivan Goldberg, cargoscreen’s team lead. 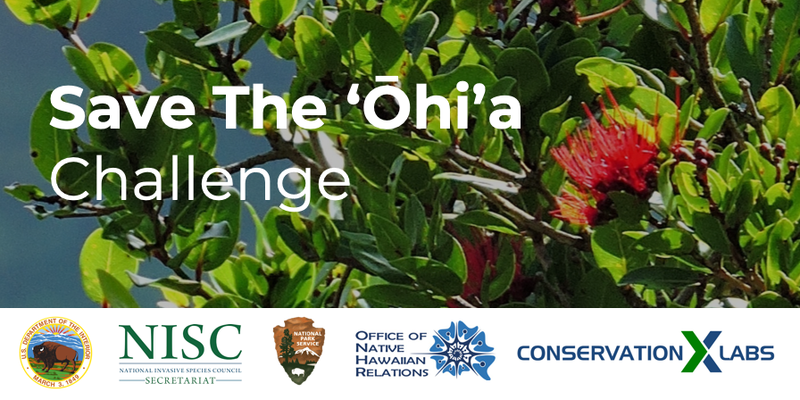 Please direct all inquiries about the Con X Tech Prize and Conservation X Labs to info@conservationxlabs.org. The next round of the Con X Tech Prize launches in January 2019. To hear about the launch of applications when they happen, sign up to be notified below.